A special thank you to Edelweiss and Harper for an ARC in exchange for an honest review. A mommy group dubbed as the May Mothers meet at a park twice a week to discuss being new mothers, swap stories, alleviate their anxieties, and offer advice and support. It is one of the hottest summers on record. As a break from the heat, and the babies, the members decide a night out is in order at the local hip bar. Winnie, a single mother, had never left her six-week-old infant, Midas. One of the May Mothers offers up her babysitter so that Winnie can join them, insisting everything would be fine. On this stifling Fourth of July, something goes terrifyingly wrong: one of the babies is abducted right from his home. Midas is missing and the police are asking disturbing questions that are putting Winnie's private life on display and the media can't get enough. None of the other members are particularly close to the guarded Winnie, yet three of them will go to great lengths to help find her baby. Secrets are exposes, relationships are tested, and the mothers are scrutinized. All I can say is, what a surprise! Apparently this book will be adapted for the big screen and will star Kerry Washington (um...yes, please). 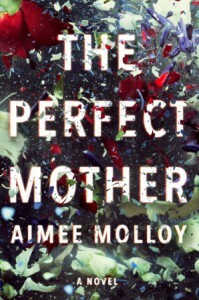 Molloy's novel is also eagerly anticipated as one of this coming summer's must reads and I would definitely recommend it as well.